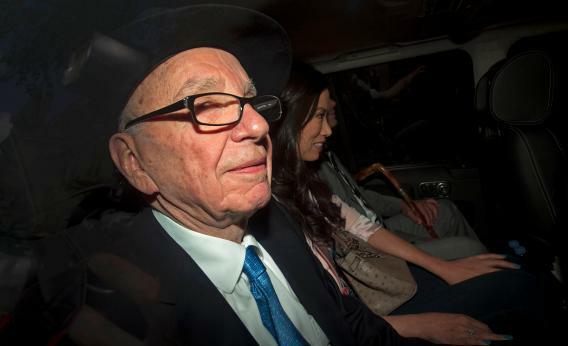 Leveson Inquiry: It's time to investigate Murdoch’s American news operation. Murdoch’s British News Operation Has Now Been Fully Exposed. What About His American One? Photo by Justin Tallis/AFP/Getty Images. Forget the “fiscal cliff” and the Benghazi kerfuffle for a few minutes. Let’s talk British press scandals—in particular the breaches of trust, integrity, and law within Rupert Murdoch’s media empire. On Thursday, Lord Justice Leveson released his report on the conduct of the British media, especially focused, of course, on the Murdoch-owned enterprises that have been implicated in the scandals that have erupted over the past several years. To say it is not a pretty picture is to state the obvious. Here are some the figures detailed in the report. With respect to interception of mobile-phone messages, 17 arrests have been made. With respect to payments to public officials, 52 arrests have been made, including 27 journalists. With respect to data hacking and improper access to personal computer records, 17 arrests have been made. There were more than 800 known victims of phone hacking by British media interests. Based on these findings, it is safe to say that dangerous and highly politicized corruption encompassed the media, law enforcement, and the top ranks of British politics. There was a real-life conspiracy that sacrificed the civil rights of citizens, the political integrity of the government, and any semblance of journalistic integrity. My conclusion: The Murdoch approach to news has been authoritatively unmasked and discredited. We all saw it on Fox News during the 2012 campaign. We’ve all seen it for years in his newspapers. And now Leveson has detailed it in his inquiry for all to see as well. The shoddy ethics of Murdoch’s British news operation has been exposed. There is now a huge question mark that hangs over his American news empire. Will his American interests be investigated in the same fashion? At this point, it’s beyond the proper thing to do. It is necessary.